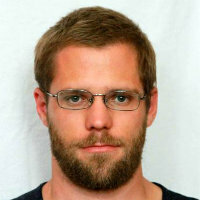 Marton is a postdoctoral Research Fellow with the Ethics, Sustainability and Engagement unit at Cass. He received his PhD from the University of Leicester in 2017. His doctoral thesis explored the meanings and practices of criticality in a business school in the UK. Building on this, his research currently focuses on the organization of higher education; on innovative ways of educating management students for ethics, responsibility and reflexivity; and on the roles management academics’ organizational practices play in achieving this goal. Gergely, V., Gelsei, G., Horvath, V. and Racz, M. (Eds. ), (2004). A láthatatlanság vége: Társadalomismereti olvasókönyv. Budapest: Alapítvány a TEK-ért. Racz, M. (2016). The researcher’s duties: continuing the conversation. In Steyaert, C., Beyes, T. and Parker, M. (Eds. ), The Routledge Companion to Reinventing Management Education (pp. 424–436). Abingdon and New York: Routledge. ISBN 978-1-317-91868-4. Racz, M. and Palmer, P. (2018). 'Socially responsible business schools? Values, valuing and evaluation of a social responsibility project run at a UK business school’. EGOS 5-7 July, Estonian Business School, Tallinn, Estonia. Parker, S., Racz, M. and Palmer, P. (2018). Decentering the learner through alternative organizations. Parker, S., Racz, M. and Palmer, P. (2017). ‘Learning through Alternatives: An Empirical Study’. 10th International Critical Management Studies Conference, 3–5 July 2017, 3-5 July, Edge Hill University, Liverpool, UK..
Racz, M. and Cheresheva, I. (2015). What’s in your head, zombie? An intersubjective autoethnography. Standing Conference on Organizational Symbolism 11-14 July, Nottingham Trent University. Racz, M. (2015). On the (doctoral) researcher’s duties: continuing the conversation. 9th International Critical Management Studies Conference 7-10 July, University of Leicester. Racz, M. and Frenzel, F. (2015). “I haven’t heard of it at all”: the PRME agenda and student participation. 2015 UK & Ireland PRME Conference 29-30 June, Glasgow Caledonian University. Rácz, M. (2018). Egy új kor alkonyán: a kritikai menedzsmentkutatás relevanciájáról. Replika, (106-107), pp. 9–24. doi:10.32564/106-107.1 . Racz, M. and Sazdovska, J. (2010). Cross-module Assessment: Student Presentations in Principles and Practices of Business and Communication for Business. CEEMAN News, (55), pp. 33–34. Cheresheva, I. and Racz, M. (2010). A kezeslábastól a piszkos zokniig. Magyar Fogyasztó, 2(7), pp. 14–21. ephemera (http://www.ephemerajournal.org), Member of the editorial collective, 2017 – present.